Children’s Medical Center of Dallas (TX) will pay $3.2 million to settle HIPAA charges related to the loss of an unencrypted BlackBerry in 2010 and theft of an unencrypted laptop in 2013. The organization failed to encrypt all PHI-containing devices as recommended by two consulting firms that had performed security gap and vulnerability analyses. It had also allowed its biomedical department to inventory its own IT equipment, causing the IT department to miss those devices in enforcing its security policies. Pam Arora, SVP/CIO of Children’s Health since January 2007, was named last month by CHIME and HIMSS as their John E. Gall CIO of the Year. From Deranged Bunny: “Re: mistakes in the HIMSS-owned publication. Here’s one from the first sentence in their lead story today.” Re-wording a press release into a “story” should have been easy for their writer since all the words were right there. For the record, “Purdue” pushes OxyContin, while “Perdue” sells chicken. 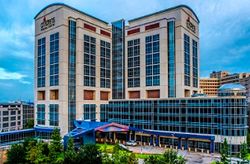 InstaMed, healthcare’s most trusted payments network, delivers secure and fully integrated patient payment solutions to the largest health systems, children’s hospitals, and provider organizations across the US, processing billions of dollars in healthcare payments per month. Connect with InstaMed during HIMSS17 at booth 609 to chat about the healthcare payments experience your patients are demanding, the need for integration of patient payments into EHR/PMS, and the increasing pressure on security and compliance, including PCI scope. Plus, we are hosting an evening of conversation, food, and drinks on February 19 after the HIMSS17 opening reception. Learn more. I still have seats available for our CMIO lunch at the HIMSS conference, Tuesday, February 21 at noon, conveniently located just off the exhibit hall and paid for by me. CMIOs can sign up here. Our 20 or so CMIO attendees will enjoy a great buffet lunch and casual peer-to-peer conversations – the only non-CMIO attendee will be Lorre, who is hosting. Everybody has to eat even with all the conference hustle and bustle, so a relaxing lunch with peers is a nice way to escape the neon jungle. 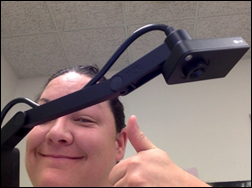 We funded the DonorsChoose grant request of Mrs. W from Arizona, whose elementary school class is using the document camera we provided for reading and phonics skills along with their sections in science, math, and social studies. This week on HIStalk Practice: Family Choice Urgent Care implements Practice Velocity software. ATA asks for comments on pediatric, mental health, stroke guidelines. MediSys adds Alpha II PQRS capabilities. PatientClick launches telepsychiatry service. DrFirst acquires VisibilityRx. Das Health develops online mental health assessment tools. Greenwood Genetic Center’s Michael Lyons, MD discusses GGC’s decision to add telemedicine capabilities. Welcome to new HIStalk Platinum Sponsor Siemens Healthineers. The company’s product lines include medical imaging, laboratory diagnostics, and point-of-care testing. 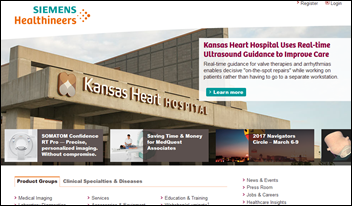 Imaging and IT offerings include PACS, RIS, image sharing, clinical data management, software for multi-modality reading, cardiovascular care software, and enterprise imaging, workflow, visualization, and archiving. Diagnostic products include data and workflow management systems, diagnostics system remote monitoring, and laboratory inventory management. Nine out of 10 US hospitals depend on the company’s solutions, including every hospital listed on the US News & World Report Honor Roll. Siemens Healthineers and IBM Watson Health are working together to develop and deploy new population health management products and services to help providers transition to value-based care with analytics and patient engagement. It will offer IBM Watson Care Manager, a cognitive solution that supports nurses and other care managers as they monitor and counsel people with chronic conditions. See them in HIMSS Booth # 2323. Thanks to Siemens Healthineers for supporting HIStalk. Here’s a Siemens Healthineers intro video I found on YouTube. It’s from May 2016, when the company announced its name change from Siemens Healthcare. Listening: new from Horisont, fantastic 1970s-sound prog rock that’s actually from a fairly new band from Sweden (think Kansas meets Deep Purple in Uriah Heep’s basement). Speaking of which, RIP John Wetton, whose long career as a prog-band bassist, singer, and songwriter included stints with King Crimson, UK, Uriah Heep, and most notably Asia. Asia’s tour starts on March 15, but Wetton had already bowed out due to his chemotherapy treatments, replaced by Yes’s Billy Sherwood, who previously replaced another deceased legendary prog bassist, Chris Squire of Yes. February 8 (Wednesday) 1:00 ET. “Machine Learning Using Healthcare.ai: a Hands-on Learning Session.” Sponsored by Health Catalyst. Presenter: Levi Thatcher, director of data science, Health Catalyst. This webinar offers a tour of Healthcare.ai, a free predictive analytics platform for healthcare, with a live demo of using it to implement a healthcare-specific machine learning model from data source to patient impact. The presenter will go through a hands-on coding example while sharing his insights on the value of predictive analytics, the best path towards implementation, and avoiding common pitfalls. Meditech announces Q4 results: revenue down nine percent, EPS $0.62 vs. $0.52. For the year, revenue was down 2.8 percent as product revenue slipped 15 percent, having declined by 38 percent since 2014. The privately held company’s net income was $73 million in 2016, up 4 percent from last year but down 41 percent vs. 2014’s total. 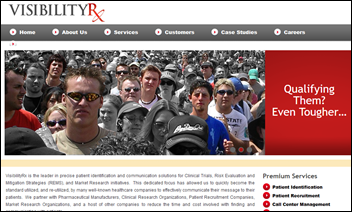 DrFirst acquires VisibilityRx, which identifies and recruits patients for clinical trials. Athenahealth reports Q4 results: revenue up 12 percent, adjusted EPS $0.62 vs. $0.45, beating earnings expectations but falling short on revenue. George Washington University (DC) chooses Castlight Health’s employee health benefits management platform. 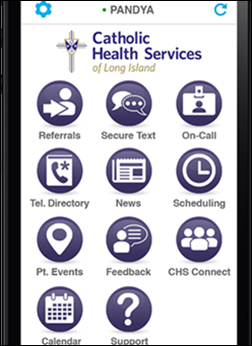 Catholic Health Services (NY) rolls out Uniphy Health’s mobile collaboration app to its providers. Jupiter Medical Center (FL) will go live in March 2017 on IBM Watson for Oncology, the first community hospital to do so following the system’s “training” at Memorial Sloan Kettering Cancer Center. 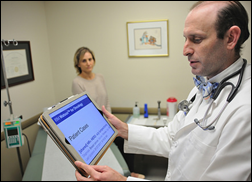 It presents individualized, evidence-based treatment options to oncologists in drawing information from 15 million pages of text from medical journals and textbooks. 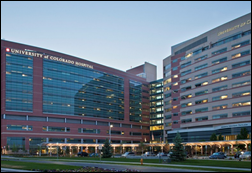 UCHealth (CO) announces technology-related developments that include virtual visits, online scheduling, a new app, and adoption of the OpenNotes standard. A Florida urologist will pay $3.8 million to settle False Claims Act charges that he ordered medically unnecessary lab tests. Meir Daller, MD ordered 13,000 FISH bladder cancer tests of questionable medical value on Medicare patients who were steered to a lab owned by his employer, who then paid the doctor $2 million in bonuses. The assistant US attorney says the doctor would look at paper-based urinalysis results but then throw them away so he could enter whatever he wanted into the EHR, often falsely recording that blood was found in the patient’s urine to justify ordering the test. 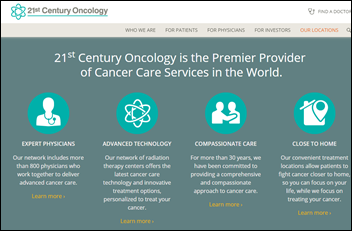 The practice’s owner, 21st Century Oncology, previously paid $20 million for its role in over-ordering the $1,000 tests for Medicare patients. The company, which operates 180 cancer treatment centers, also reported an October 2015 breach of its systems that exposed the information of 2.2 million patients. USA Today reports that shares of McKesson were among the healthcare-related investments made by HHS Secretary nominee Rep. Tom Price (R-GA) since 2012 that appear to be improper. Price bought MCK shares in March 2016, McKesson warned investors in early May that Medicare’s reduction in medical equipment payments could hurt its bottom line, and Price introduced legislation to cancel the cuts on May 12. In England, an analysis of the four-day October downtime of three-hospital Northern Lincolnshire and Goole NHS Foundation Trust finds that it was caused by a misconfigured firewall that allowed ransomware to penetrate its systems. President Trump’s long-time doctor Harold Bornstein, MD lists the president’s medical conditions and prescriptions in a New York Times interview, raising the question of whether he violated HIPAA in doing so. 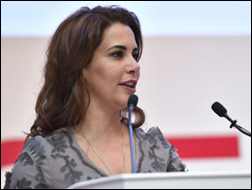 I have already alluded to the difficulty faced in embracing new technology in healthcare. To ensure successful adoption, we need to equip the physician, the patient, and the system with the right tools and knowledge. We also need to improve medical training to ensure future generations of doctors are proficient in the use of technology, social media, and digital platforms. This is my point. This is where the balance lies. We have seen all kinds of machines and technologies that have created the architecture, but in the end, it was for the benefit of the people, to give them a home for the future. This same balance needs to be struck between innovation and medicine. An interesting article lists the biometric measurements that will soon allow police to identity suspects in ways that go far beyond fingerprints. 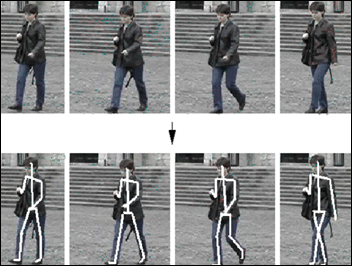 They include signature recognition, typing pattern recognition, recognizing patterns used in reading predefined passages aloud, eye movement tracking, gait analysis, and identifying people by their body odor. Facial recognition systems are already in place, with the FBI having stored the images of half of Americans in its databases. The article notes that President Trump’s executive order on immigration calls for expediting the use of biometric screening at the US border. Kyruus will present at the Harvard Healthcare Business Conference February 4 in Boston. ZeOmega’s Jiva 6.1 earns ONC Health IT 2014 Edition Modular EHR certification. Learn on Demand Systems releases details about its invite-only Launch event in March for customers and partners. MedData will exhibit at the HFMA NENY Women in Leadership Conference February 9 in Clifton Park, NY. Meditech will exhibit at the AHA’s Rural Healthcare Leadership Conference February 5-8 in Phoenix. Navicure will exhibit at the 2017 Healthpac Annual Users Meeting February 10-12 in Savannah. Nordic will sponsor the inaugural Epic North Carolina Users Group Meeting February 8-9 in Greensboro. I fear Mr H is losing his touch. By my hazy recollection, the comments about the last video of Siemens Healthineers’ name change weren’t nearly as neutral. Having said that my guess is they’ve fired their ad agency and the new one didn’t read what Mr H said about the old one’s efforts. Or maybe they’re hoping that if they cough up, he’ll be nicer to them in the future…. You’re going to love Party on the Moon’s Spandex-clad reprise of “We Are Healthineers” at HIStalkapalooza! He can’t exactly bring that up in a sponsorship recognition nor is their wretched name a reason to turn down ad revenue, and I’m sure Mr. H. along with us is getting a kick out of them sponsoring after he rightfully ripped their re-branding efforts to pieces. But that’s all on them. I still can’t stand to look at that joke of a “noun”, and will never forget that video of as depressing of a corporate launch event as I could imagine. Straight out of Office Space on a much larger scale. Man, it would be so frustrating and embarrassing to work there and have to say the word Healthin#*rs all the time. CHIME, unfortunately, has historically had an elitist approach to who they recognize for awards. This time, I would say, this approach has come back to bite them. CHIME should begin to stipulate that awards can be revoked for a major breach or fine from the United States Office of Civil Rights.